Downtown Flint has turned a corner and has become a destination for college students and suburbanites alike. As restaurants, bars and retail shops continued to pop up, it became clear that a new, easy-to-navigate map was needed to help vistors find their way. 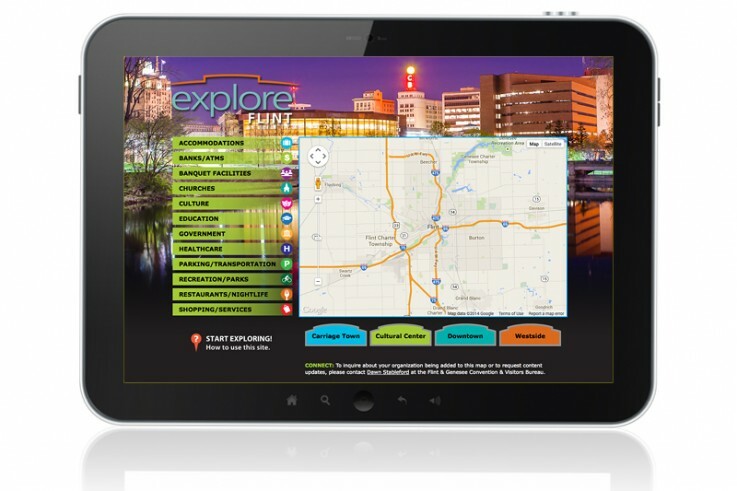 Olmsted Associates was tasked with designing the new map, which needed to be compatible with both desktop and mobile devices. The end result was a clean, crisp site built using the Google Maps platform.